Life is full of difficult choices. Decision-making is hard. Do I choose career "A" or career "B?" Do I spend money on "X" or "Y?" Should I stay; or, should I go? 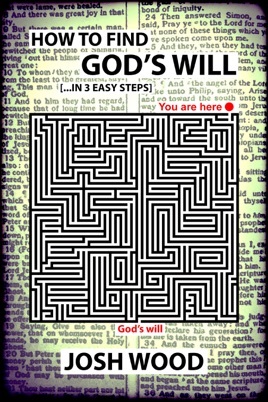 How to Find God's Will is a short, 3 step guide devoted to helping you confidently discern God's will in any decision in life. Easy read with a clear, simple message. Challenges the focus of those of us searching for God's will in our lives. If you are having a hard time pinpointing God's will in your life you MUST read this book. It will cost you very little and enrich you tremendously! Great Job Josh! Good read, quirky yet informative. Always nice to see that people go through the same things. Thanks Mr. Woods!